Crystal Palace manager Roy Hodgson accepts that he must find a way to help his side perform to their best when star forward Wilfried Zaha is absent. 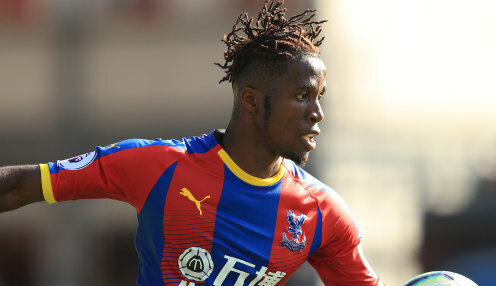 Ivory Coast international Zaha was missing on Saturday due to a groin strain and the Eagles were unable to cope as they were beaten 2-0 at home by Southampton. I don't quite know what I can do about it until such time as we play a game without Wilf and win. The loss extended a run without a win when Zaha is sidelined which dates back to a 3-2 victory over Sunderland at Selhurst Park almost two years ago. And it is that fact which has left Hodgson with much to ponder heading into the international break. He told reporters after a disappointing afternoon for the Selhurst Park faithful: "I don't quite know what I can do about it until such time as we play a game without Wilf and win. "It's a fact. Again he didn't play and again we didn't win. It's a pure fact that we have to learn to live with. "There will be games where Wilf doesn't play and I would like to think that the squad that we have is good enough to win without him. "It's a stretch to say because Wilf is unable to play, the other players can't produce what they are capable of." The Eagles have now lost three Premier League games in a row following an opening weekend 2-0 triumph at newly-promoted Fulham, with the reverse to the Saints preceded by defeats to Liverpool and Watford. Palace are now priced at 750/1 to be relegated this season, with Fulham available at 1/5000 and West Ham 500/1.